Modern, decorative square semi-transparent hand soap dispenser with polished chromed plastic hand pump. 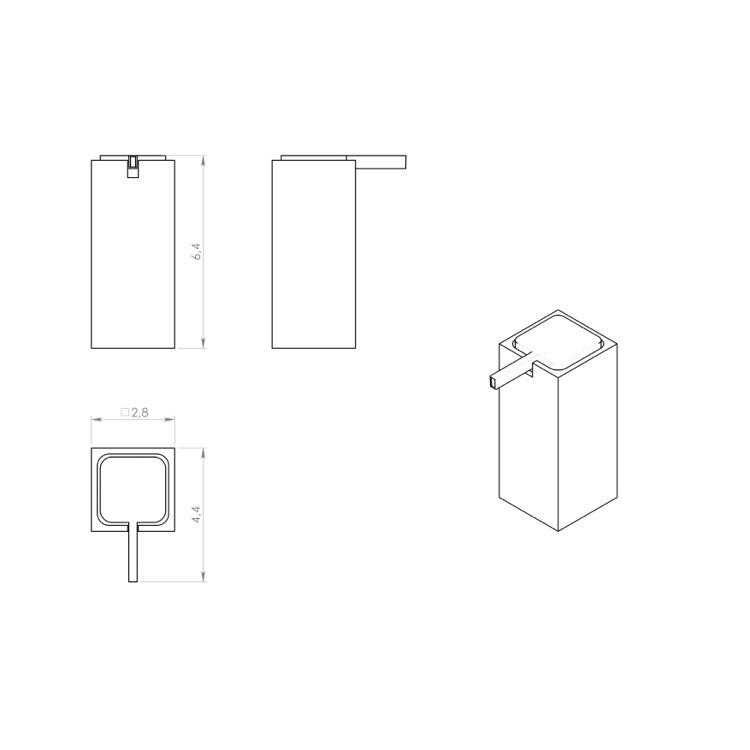 Soap dispenser container made from thermoplastic resins. 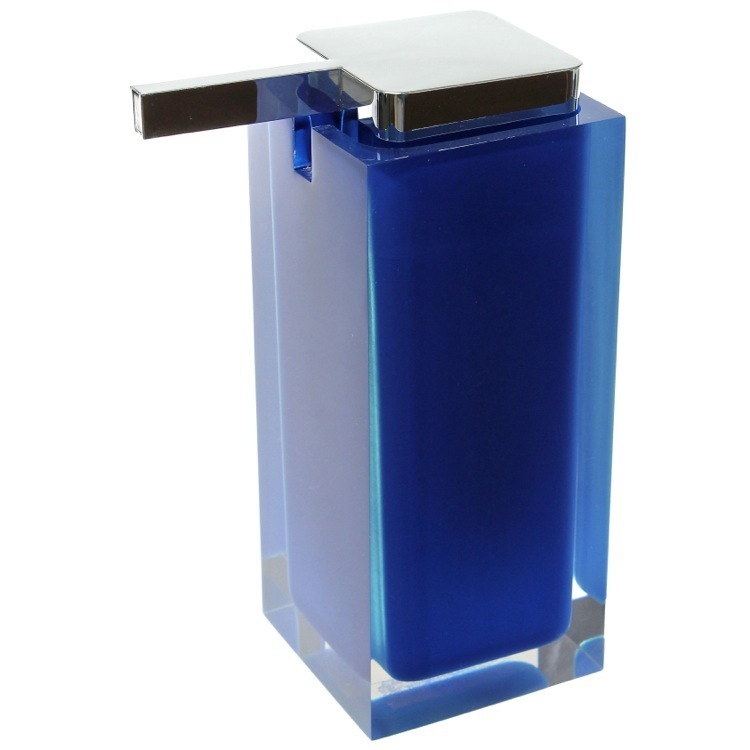 Gel dispenser in blue finish.